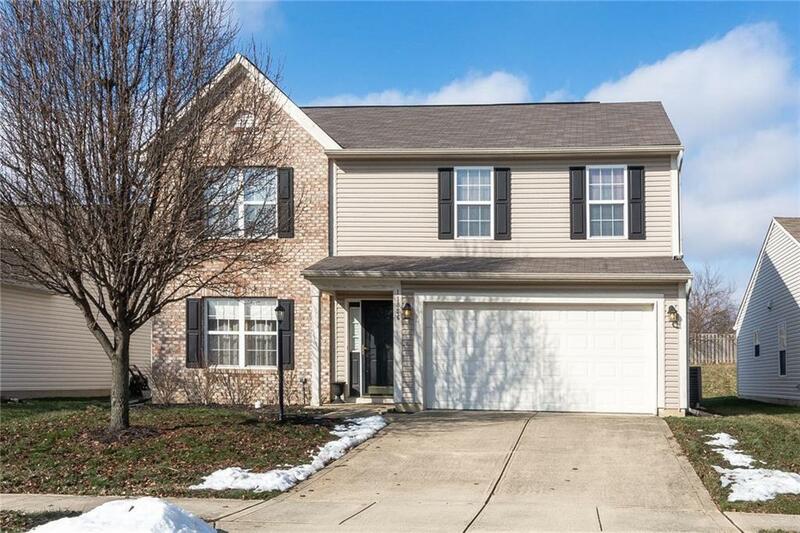 Check out this beautiful 2-story home in Sumerlin Trails, just a short walk from Hoosier Woods nature park. This well maintained home features 3-bedrooms, 2-bathrooms, 2-car attached garage, an open concept family room and dining room combo leading right into an eat-in style kitchen with center island. Imagine cuddling up to a cozy fireplace with a good book in the family room or spending quiet time in the upstairs loft! Enjoy the spacious master bedroom with full bathroom including a separate tub, shower stall and huge walk-in closet. Also included are two other bedrooms, a laundry room on the upper floor, and spacious open backyard. This property is an estate sale being sold in as-is condition but it is very good shape.